Microsoft and HTC made it official that the HTC HD2 won’t be getting the Windows Phone 7 upgrade although the hardware supports it. 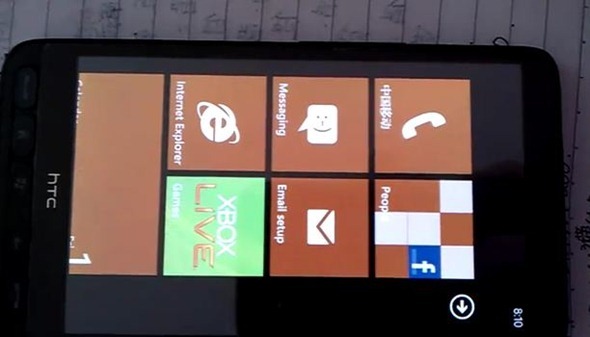 But that didn’t stop the hacking community from dumping a Windows Phone 7 ROM on the HD2, yes you read that right! You can now boot Windows Phone 7 on your HD2 alongside Windows Mobile 6.5, Ubuntu, MeeGo, Android 2.2 Froyo or Android 2.3 Gingerbread. The unofficial Windows Phone 7 ROM comes to us in courtesy of the Dark Forces Team, but the downside about the whole deal is; Live services don’t work, in other words you don’t have access to pretty much everything that involves using your Live ID, but we have our fingers crossed that in the future this issue will be fixed. We will have our own guide on how to install it soon. In the meantime, you can follow the instructions posted over at MobileTechWorld here.